Believe it or not, I am not even getting paid 1 cent to write all this content about Qeepsake. I just think that it is an interesting concept to have an online baby book, and that other mommies out there can benefit from the easiness of texting to create a baby book. There have been a lot of questions on my Qeepsake Review Article about what kind of information the company requires you to give them, and what the sign-up process is really like. Because of these questions, I have created a new Qeepsake account, and I want to walk you through the sign-up process, and through other articles I hope to give you a better insight into the back end of the Qeepsake program. So without further delay, let’s get into the sign-up process! 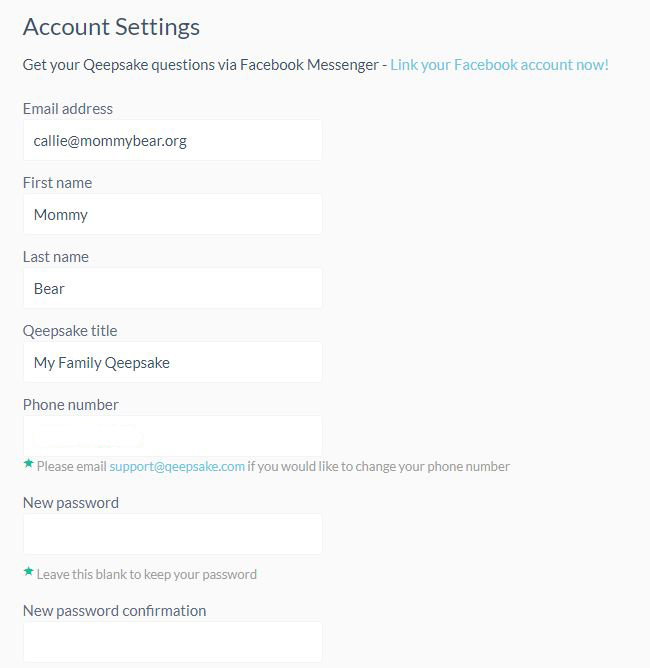 When you sign up for Qeepsake, you will be taken to the Account Information screen. Here you fill out your email address, first and last name, your phone number, and choose a password to use for your account. I missed getting a screenshot of this when signing up, and you can’t go back to that exact screen, so here is basically the same screen from the Account Settings within the website. If you want to start the sign-up process, use my referral link by clicking the button below! After signing up 10 people I get access to Qeepsake Plus for 1 year, and will bring you more insights on what lies ahead in the paid memberships! Next you will be prompted to create your journal. This is information about your child that you want to keep track of memories for and be texted questions about. It is set-up to be one journal per child, and there is nothing to accommodate multiples such as twins or triplets. 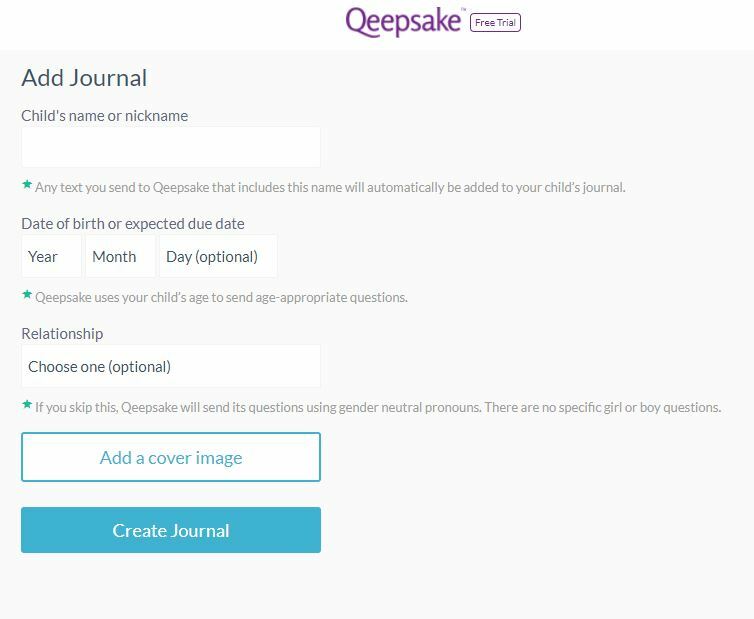 Here you fill out the child’s name or nickname, date of birth or expected due date, and their relationship to you, so Qeepsake can use correct gender pronouns in their questions. Adding a cover image let’s you quickly differentiate between journals if you have more than one. I easily added a picture of Little Cub to my cover. Next, you choose how often you want to be texted Questions about your baby. This varies from 1 to 4 times per week, all the way up to 4 questions per day. If you only have a free account, you can only be texted once a week, although if you connect your account with Facebook, you still can opt for once a day, even on the free account. As you can see in this screenshot, you choose your frequency, and even the time you want to be sent a question. 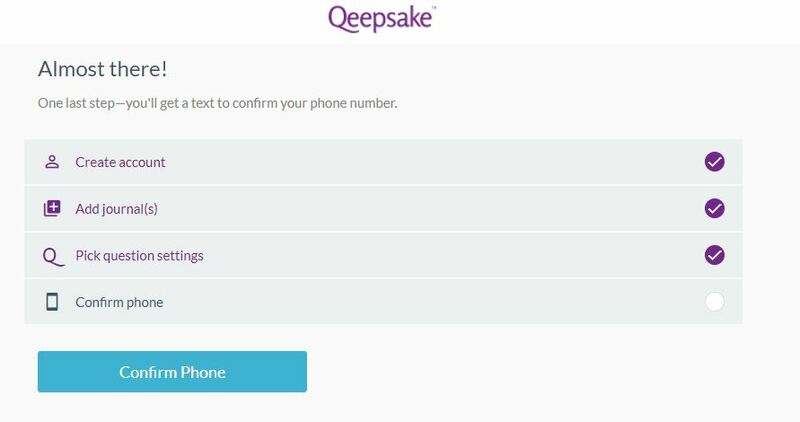 The last step of the Qeepsake account set-up is confirming your phone number. They text you a code, and you just have to enter the code. Congrats! If you followed my steps, your account is now set up! 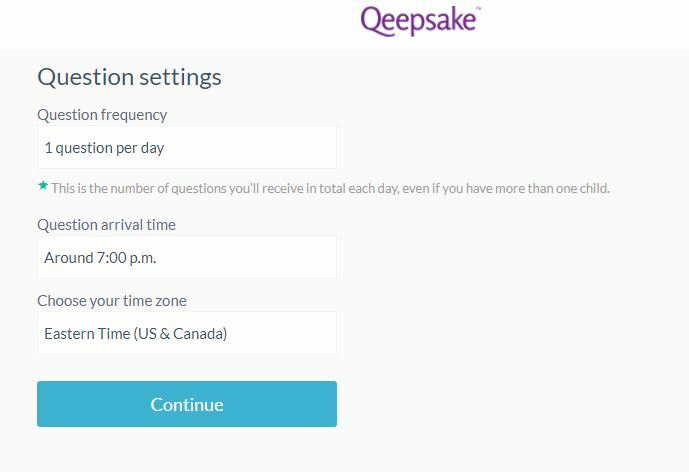 If you weren’t following along, you at least now know what kind of information you will need to give to Qeepsake in order to create your account. You can login to the Qeepsake website and see all questions that you have answered, and even add new journal entries yourself without being prompted with a question. I plan to cover more of the website features in a later post. One thing I have noticed is that if you don’t answer a question that is texted to you before the next question comes, that question is pretty much as good as gone. It won’t show up on your dashboard, and since text messages are linear, you can’t really go back and answer it. If there was a question you wanted to answer but didn’t get around to it, you will just need to jot down that thought in a new journal entry. 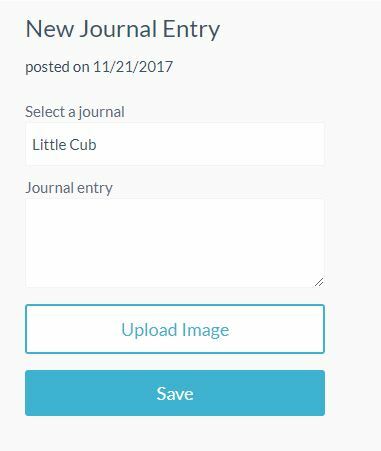 It would be nice to be able to pick from past questions, but all you get for a new journal entry is journal selection, the option to upload an image, and a text box to type in. Have You Already Tried Qeepsake? 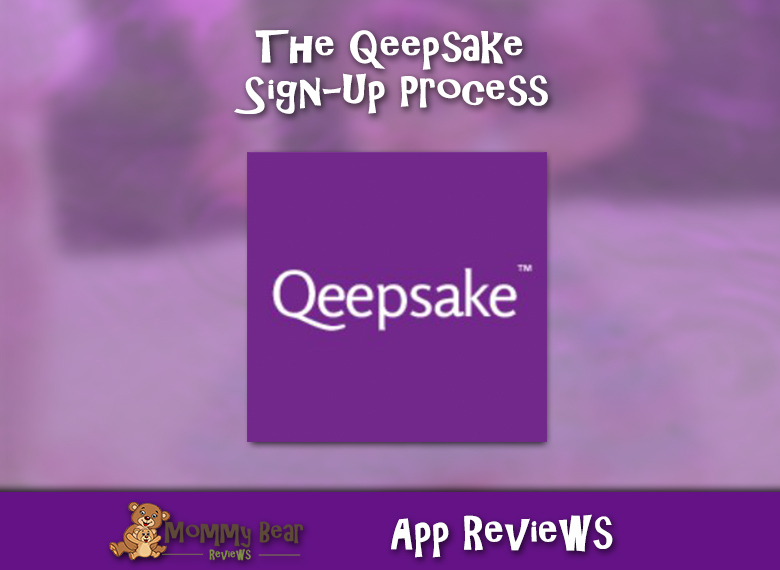 I would love to hear about your experience with Qeepsake, as I’m sure other busy moms would too! Leave your experience in the comments below and let others know how you like or dislike the online baby book! Maybe this has changed since you wrote this article, but you can go back and answer missed questions in the app.